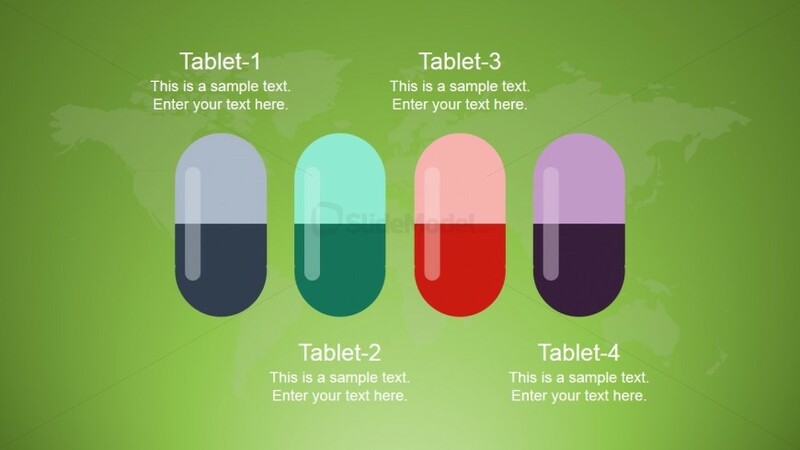 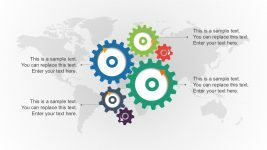 Shown above are 4 cool pill shapes for PowerPoint, in front of a green world map presentation background. 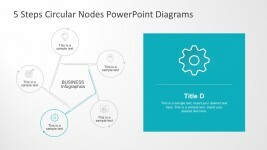 The PowerPoint slide may be used to show, in a business setting, different solutions to a given setback to a company’s international or global plans. 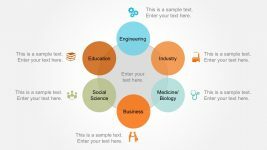 Each proposed solution may be represented by a pill shape; descriptions and labels for which may be placed in the corresponding text placeholders which may be found above or below the pill. 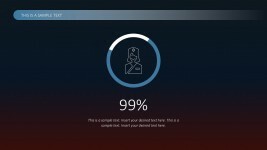 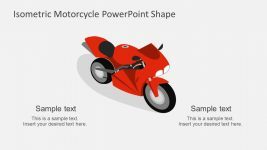 The PowerPoint objects are 100% customizable as to fit to the presenter’s needs and preferences.